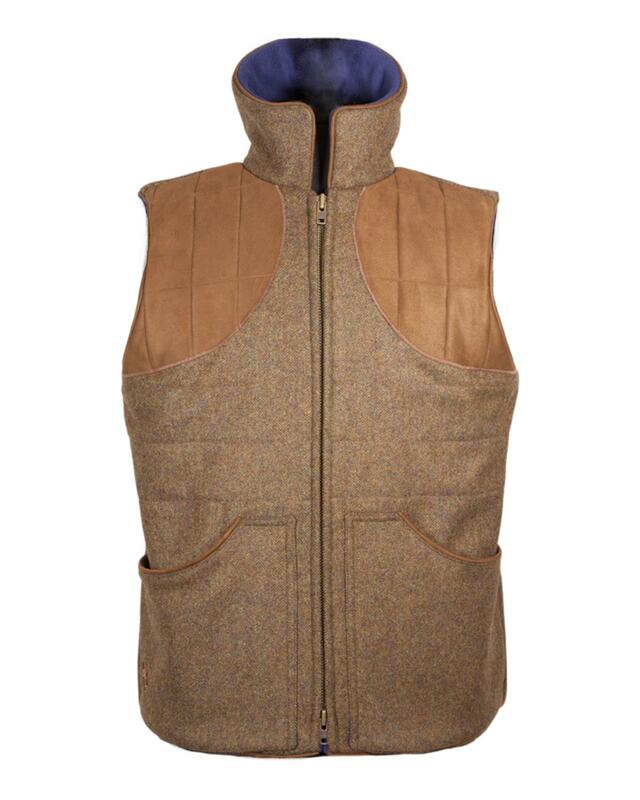 The 'Peat' tweed shooting gilet is the very latest product from Maude and Fox. 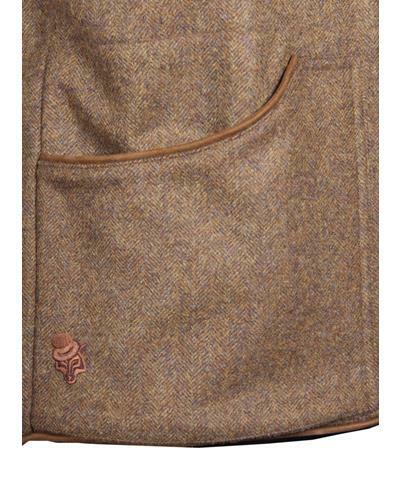 Made out of a peaty brown tweed from Yorkshire it has a sophisticated edge whilst being very practical to use and wear. 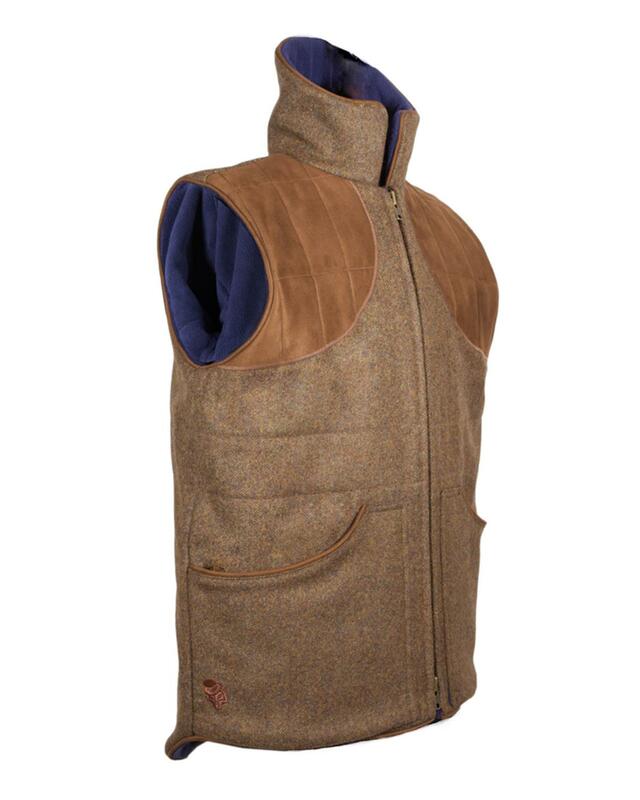 Featuring padded suede shoulder pads for comfort and suede trims to pockets, hem and collar for durability. 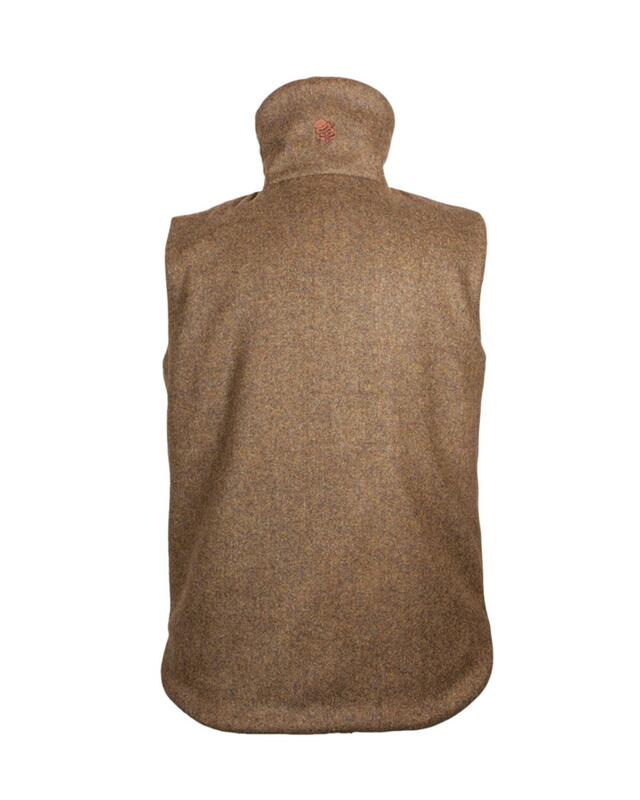 The Peat dips down at the back to keep out chilly blasts of air and a high collar to protect against the elements. Lined with 2 layers of fleece for comfort and warmth. The very strong 2 way zip is a must and the large pockets have been designed with a bottom gusset to create extra space for cartridges. Great for all all but the hottest days.